October is usually a busy month when it comes to the smartphone world. 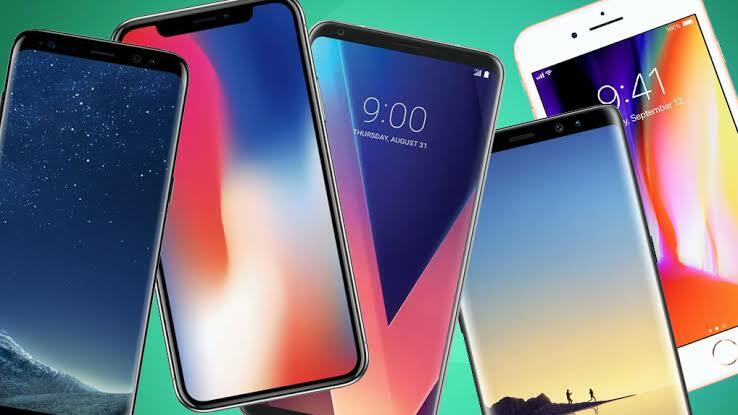 Almost every major smartphone company manufacturer releases a phone or several phones in October. Below you will find some of the best phones released on October. IPhone XR was released at the same time as iPhone XS and iPhone XS Max. This iPhone is priced at just $750 and it's the iPhone that most people should buy. IPhone XR comes powered by an A12 Bionic processor which is the same processor on iPhone XS and on iPhone XS Max. It has a battery that can last a full day of use and also supports wireless charging. IPhone XR comes in a array of different cool colors. IPhone XR has a single lens at the back. The camera doesn't disappoint. With this phone you are getting an awesome device at a relatively cheap price for an iPhone. This is a new device from Honor. This phone has a glass body and a bezel less design. It looks like the new iphones. There is a notch at the top of its screen which houses the selfie camera. At the back you will find a dual lens camera. Honor 8X comes with Kirin 710 processor which can handle any task thrown at it. There is a GPU Turbo mode which will boost your phone when it comes to gaming. With this phone you get a face unlock feature and a battery capacity of 3,750mAh. LG have released four phones this year. LG V40 ThinQ is their latest phone. With this phone LG did everything in their power to deliver a solid phone. V40 ThinQ has a whooping 5 camera lens. At the back of this phone you will find 3 cameras while at the front there are two cameras. This is the most versatile camera system to be ever used on an LG phone. When it came to taking photos in low light you will clearly see a difference. The camera department really did a good job on these 5 lens. This phone has an awesome glass design which feels comfortable to hold. It has a 6.4 inch OLED display screen. It has a picture resolution of 3,120 x 1,440. There is a notch at the top of this phone. V40 ThinQ is powered by Snapdragon 845. You will find 6GB of RAM and a battery capacity of 3,300mAh. This phone is selling at $900. Nokia 7.1 was launched on October. It has a sleek design with top level flagship specs. It has a notch and an edge to edge screen. This is a mid range device and it costs just $350. It has an LCD Display screen and a picture resolution of 2,280 x 1,080 and has a 5.84 display size. Nokia 7.1 is powered by snapdragon 636 processor. The performance on this phone is fast and really reliable. Nokia 7.1 has room for a microSD card. At the back of this phone you will find two cameras and it has just one lens at the front. Nokia 7.1 has a battery capacity of 3,060mAh. It has a USB-C fast charging. Within 30mins of charging your phone will recover 50 percent of the battery. This phone is quite powerful and its price is affordable. In October releases Sony wasn't left behind. Sony released Sony Xperia XZ3. Qualcomm snapdragon 845 has been used on this phone. You will find 4GB of RAM and 64GB as its internal storage. The design has slimmed bezels. This phone is slippery due to its sleek design. The fingerprint sensor on this phone is very poorly placed. Sony Xperia XZ3 has a 6 inch display screen and a picture resolution of 2,880 x 1,440 and with a HDR10 support. The lens at back of the phone performed badly. In low light you will be really disappointed by it. Sony Xperia XZ3 runs on Android 9.0 pie. It's selling at $900. Google has been releasing their phones on October. They continued with the same trend this year. This two phones look really different but their specs are twins. Snapdragon 845 has been used on both phones. Both these phones have a single lens at the back which provides one of the best shots. The success to Google's phones is its awesome camera. The camera department on any pixel device doesn't disappoint. There is an artificial intelligence optimization feature on this camera. The battery on this phone will give you a full day of use. You will need to recharge your phone later on. Samsung did something different on this phone. Samsung Galaxy A9 has squeezed 4 cameras on the back of this phone. This is first on any other smartphone. The design on this phone has smooth curves and slim bezels. This phone has a variety of colors. Samsung Galaxy A9 comes with Snapdragon 660 processor and is powered by Android 8.0 Oreo. This phone bas 3,800mAh batter. It price is just $700. In October, Huawei decided to release four awesome phones. All these phones are powered by Kirin 980 processor. At the back of these phones you will find three camera lens. All these phones have the latest Android version. They run on Android 9.0 pie. 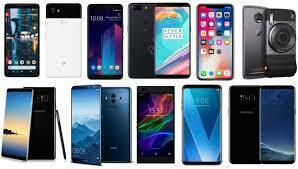 Each phone has its unique features that make it special. Mate 20 has a 6.53 inch display screen, a 12 megapixel lens, a 16 megapixel wide angle lens and an 8 megapixel telephoto zoom lens. Mate 20 pro has an AMOLED screen and a 6.4 inch display screen. It also has an in display fingerprint sensor. Its camera consists of 40 megapixel primary lens, a 20 megapixel wide angle lens and also an 8 megapixel zoom lens.